Hotel is located 1 mile from the airport with Free airport shuttle service, and features free high speed internet in lobby and select rooms. 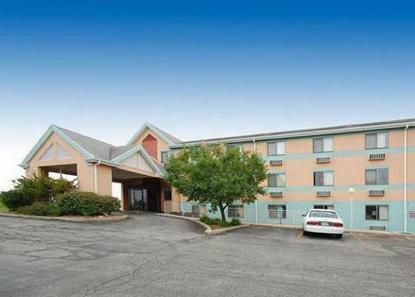 Hotel offers free continental breakfast and shuttle service within a one mile radius. Park and Fly packages available. Shuttle service available 4:30am - midnight. Pet accommodation: 10.00/day per pet. Pet limit: only pets under 30 lbs allowed. Cash paying guest deposit: 20.00 per stay (for phone).